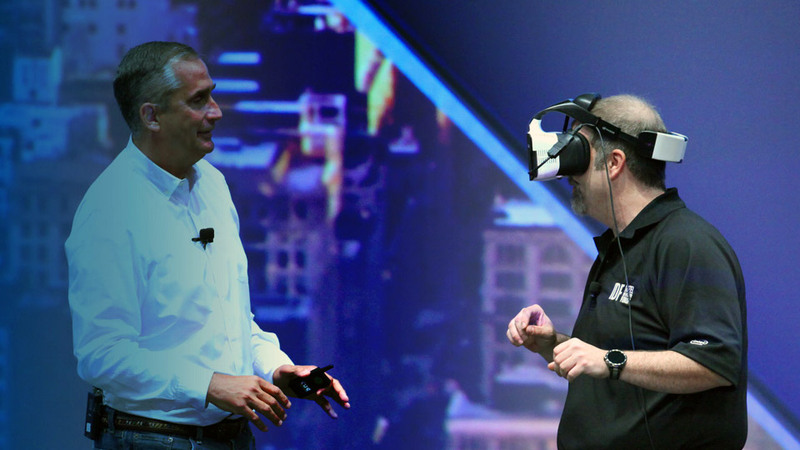 At the Intel Developer Forum in San Francisco last week, Intel CEO Brian Krzniach took to the stage during the opening keynote to reveal Project Alloy: a new VR headset that is completely wireless, contains all the computing power in the headset itself, and offers positional tracking and forward-facing depth sensing. The positional tracking is accomplished without external sensors, such as the lighthouse base stations that the HTC Vive requires, with a method called “inside-out tracking”. This refers to the fact that all the tracking hardware – in Project Alloy’s case, what looks like approximately eight cameras positioned around the headset – is contained inside the headset itself. 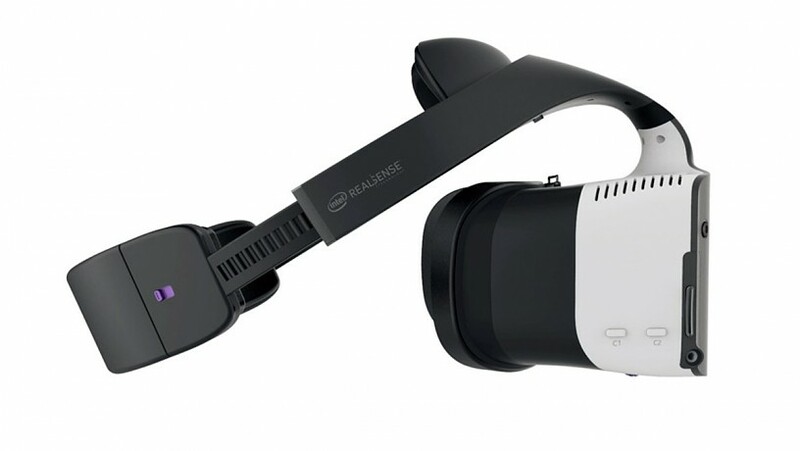 Some of those cameras on the front of the headset are Intel RealSense cameras, which enable depth tracking and hand tracking, much like the way a Leap Motion sensor does. This enables what Intel is calling “merged reality”, though we’re not entirely sure why they’re not using the more common “mixed reality” term. Essentially, you’ll be able to see aspects of the real world, such as your own hands, while inside a virtual space. This includes being able to see other users, as the keynote demo above demonstrates. 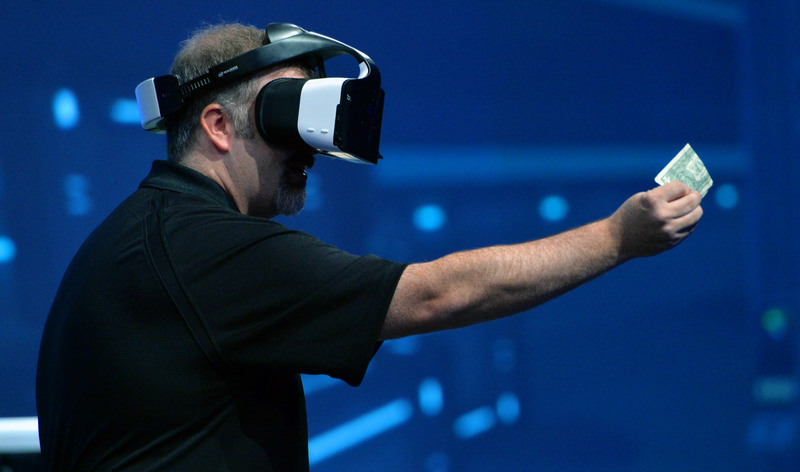 CNET went hands-on with Project Alloy, giving us a closer look at the wireless HMD itself. Intel says Project Alloy will be available for developers in late 2017. When it does launch for consumers afterward, Intel will ensure it acts as an open platform for development. We’ll have more on this very interesting headset – including core technical specs like battery life and field of view – once they become available.